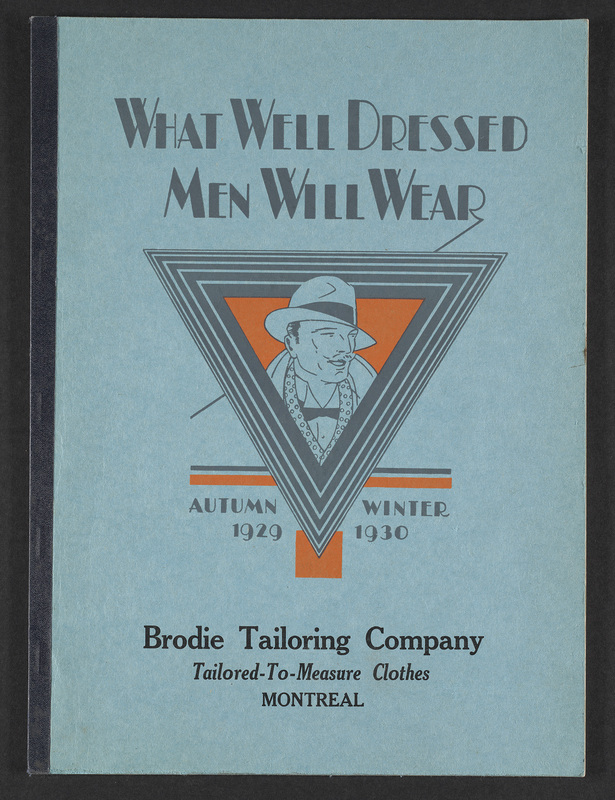 The cover of the Brodie Tailoring Company’s catalogue featuring “tailored-to-measure” clothes entitled What Well Dressed Men Will Wear. Commercial and Industrial Catalogue Collection. Rare Books and Special Collections, McGill Library. Excerpt of a text from the digital exhibition Art Deco and the Decorative Arts of the 1920s and 1930s. Art Deco was a style that one could wear: luxurious furs, long gowns, three piece suits, and accessories for women and men were just a few of the means to display one’s sense of taste and fashion. Eaton’s was one of Montreal’s leading department stores and catered to a wide clientele. It operated a successful catalogue service through which orders could be placed by telephone or sent by mail. Other stores catering to Montreal’s elite were a block away from Eaton’s on Phillip’s Square; Henry Birks and Sons specialised in fine jewellery and table wares and Henry Morgan and Co. (now The Bay) featured fine goods from Europe. Travel for both business and pleasure became far easier with the increased speed of transportation and the introduction of new modes of travel. Headquartered in Montreal, the Canadian Pacific Railway (CPR) built on its nineteenth-century dominance of the Canadian railway service by establishing shipping lines. Following the coordination of the schedules of the transcontinental trains and transatlantic ocean liners, the volume of business at Montreal grew to be second only to that of New York City. By 1930, the CPR operated 14 first and cabin-class ocean liners, including the British Empire’s largest and fastest, the Empress of Britain, out of Montreal and Quebec City. These brochures depict the leisure activities of pleasure outings in the newly accessible countryside. Menus and views of interiors provide a glimpse of a few of the opportunities for fine dining in Montreal in the 1920s and 1930s. Theatre programmes participate in depicting the era in terms of society sensibilities. 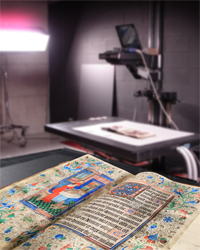 This exhibition was organized to celebrate 10th World Congress being held in Montreal, Quebec, May 24 – 30, 2009 and put together by the staff from Rare Books and Special Collections and the Blackader-Lauterman Library. This entry was posted in Montreal matters, Rare Books and Special Collections and tagged Digital Exhibition by Sarah Severson. Bookmark the permalink.